Nakhle Zgheib & Co was established in 1979 by Contractor Mr. Nakhle Zgheib, a veteran with a long experience in the construction sector. He implemented his first batching plant of 35 m3/ hour in Safra area on a 5,000 m2 land which started with a yearly production of 8,000 to reach today an average of 400,000 m3. The market responded positively and the production increased rapidly to reach 41,000 m3. New acquisitions (Plants, Pumps & Mixers) were added to the company. Mr Farid & Mr. Issam, the two sons of Mr. Nakhle Zgheib had joined the company and took over its management. They injected their know-how and technicity, each in his field helping in restructuring; developing and implementing new procedures, new market strategies as well as computerizing the batching systems and complete control processes. The company added to its assets a list of new acquisitions (Fixed and Mobile concrete pumps) such as Putzmeister and Druetta Pumps 28 & 32 Meters, in addition to a new computerized batching plant with the latest available technology. A fleet of new transit mixers with various capacities had also been added to the company’s fleet of vehicles, increasing the annual production and delivering capacity to exceed 40,000 m3. Nakhle Zgheib and Co. won the contract “the CIMENTERIE NATIONALE, factory extension project” at Shekka area (80,000 m3), where a new mobile batching plant of 35 m3 / hour capacity was installed, to serve that project. The project lasted 11 months after which the mobile batching plant was transferred to Saoufar / Mdayrej, at the request of the Italian company TOTO to supply the segment of the new Saoufar-Mdeirej highway. The project on this highway was forecasted for two years starting 1999. Total poured volume of ready mix for this project had exceeded 120,000 m3. As part of the development plan, Nakhle Zgheib & Co decided to expand their activities in the Beirut district area. 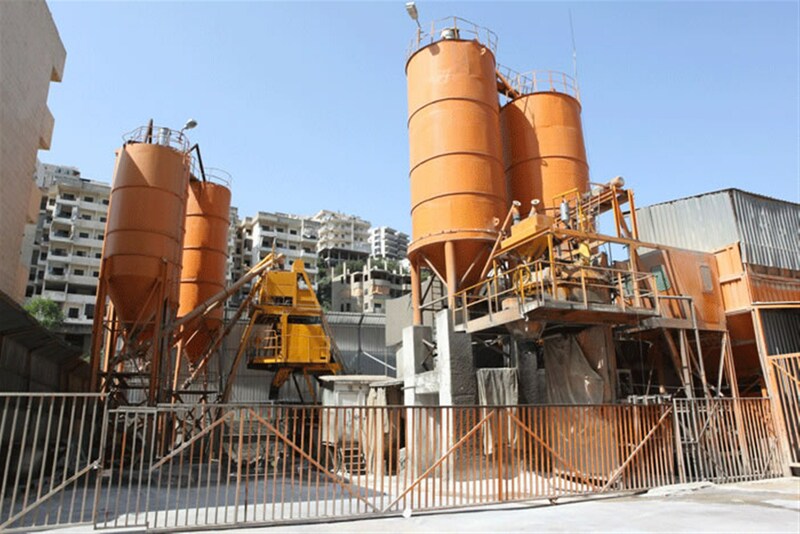 A medium size batching plant of 75 m3 / hour capacities was installed in the area of Jisr El Basha which started its operation in 1996. Witnessed also a major development by the acquisition of a new batching plant of 120 m3 / hour capacity, along with 3 pumps and 9 truck mixers. An effective production ratio that has been maintained all along the years between 60% and 70% of total capacity. A high quality of production that acquired the trust of all the company’s clients and contractors due to high level of technicity of the production staff in the absence of any foreign technical assistance and know-how. A dedicated staff of 97 skilled and professional technicians. New updating and renovation of existing Plants, Q.C department.